This week I’ve been busy concentrating again on finishing items already started. 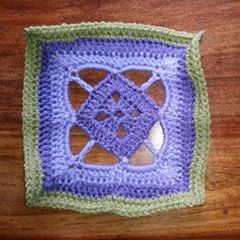 After looking at various types of solid squares to add to The Lavender Blanket I opted for just the diamond in the squares, squares and needed 10 more of those. They are now complete and I’ve stared adding on the green edging, as with most of the blankets I make I decide on the joining together method depending on the finish I want on the blanket. This blanket will get all the green added on then they will be joined on the back. This is how they are looking now. Elizabeth’s Miss Marple cardigan is ready to come off the blocking mats as is my new design but from Thursday after I got home from the hospital it’s been a mixture of being caught up doing other things and then just not having the energy to do it, it’s not even a big energy job but that’s just the mindset at the moment. Both projects just need buttons adding on, the cardigan ones I have and the ones for my design I’ve had a change of heart on and have ordered others so I wouldn’t have been able to show it to you yet anyway even if I had removed it from the blocking mats. My next article is now available for reading and can be found here. This is a picture of the project, it’s a Lace Eyelet Shawl I designed. I did start a wrap project for Evelyn earlier in the week. Something that was just a knit project with not much thinking about. I brought it with me to the hospital on Thursday so I’d have something to do should I be waiting around a bit before hand for my turn to go to theatre. I need not have worried I was in straight away and afterwards I was not going to be doing any knitting! I will update the list to reflect this totally new addition of a project. Project notes can be found here. Update on the ankle – Screws have been removed, thankfully they put me under for that as there was talk of just a local and I can’t tell you how this turned my stomach. I’m not squeamish and have a very high pain thresh hold as was witnessed on the evening this all originally happened but the thought of being awake while they did whatever was not a pleasant one, anyway out they came and 4/5 hours later I could put weight finally on my ankle after 9 weeks of no weight on it. What a weird sensation that was. I met with the physio and was given some exercises to do ahead of my first apt this Wednesday. I am walking with the aid of the two crutches, can’t wait to be shot of those let me tell you! and hopefully now it will be all about building the strength back up in my ankle, I’ll know more on Wednesday. It’s quite sore walking on it but that’s more from non-use than anything but the ankle itself aches, most of the time which is different from the pain of walking. I’m hoping this ache eases over time but I’ve my doubts as to whether it will ever actually fully go. My project page for YOP year is up to date and can be found here. If you want to read other blogs taking part or to take part in the yop year yourself, check out the Ravelry group here. This entry was posted in Crochet, Knitting, Year of projects and tagged Article, Lace Eyelet Shawl, Shawl, The Lavender Blanket. Bookmark the permalink. 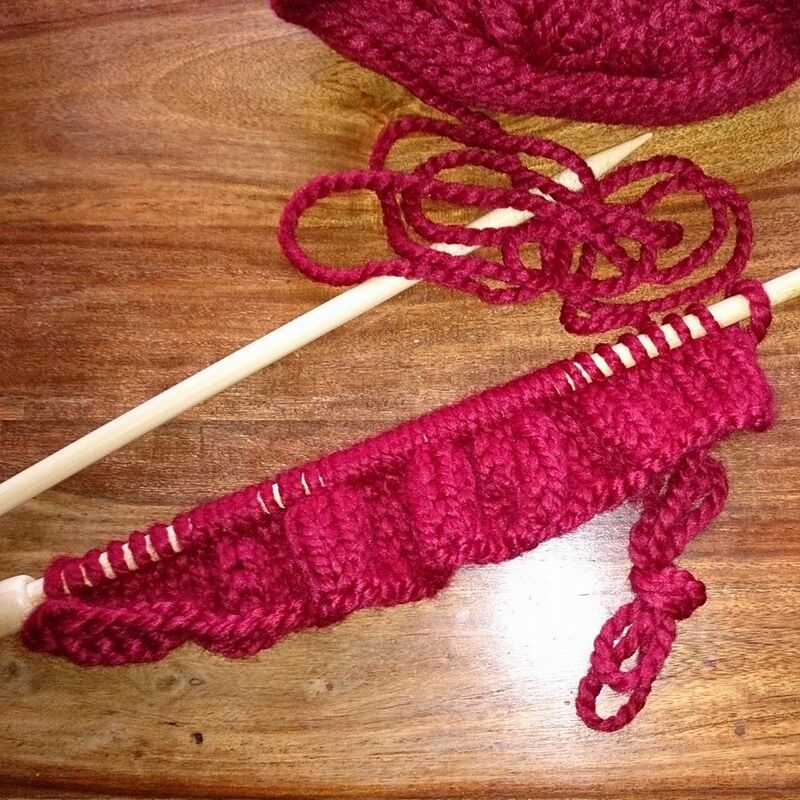 You new knits always intrigue me… Looking forward to the progress! So happy you are back on your feet! I was on crutches for awhile a few years ago so know how you feel. Lovely, lovely projects! Love the wrap that you started and the color is great. I am glad to hear the screws are gone and hoping that all the aching will go away over time. Glad the ankle is better…hope the rest of the time goes by quickly…..I’ll read the article later this week..but so awesome an opportunity…..
Oh, what a pretty shawl. I’m glad your ankle is making progress. The square is terrific. It has an almost magical look to it. Yay for being screw free!! 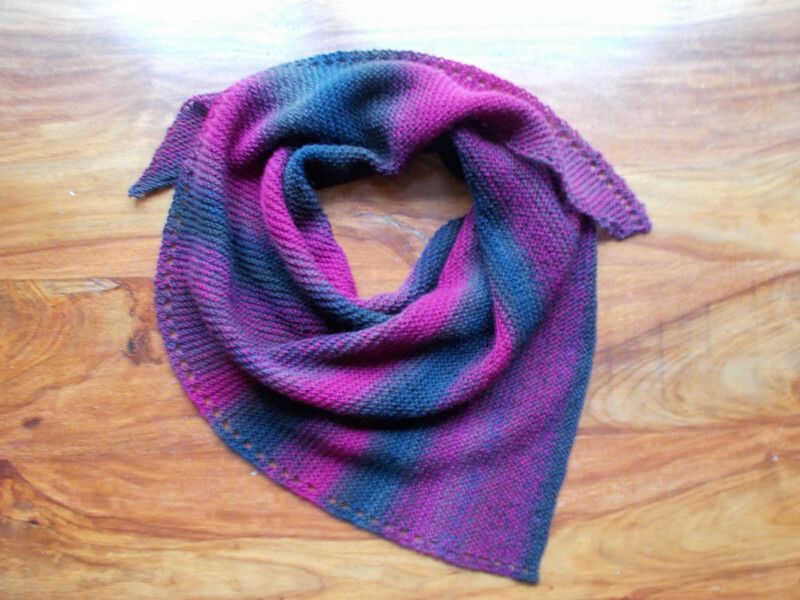 Love the new article and the shawl is lovely. Hope the ache is getting better. The square is beautiful. I hope the aches do go. My arm ached throughout PT and for a few months after, but then it all went back to normal. I couldn’t even tell you which one I broke now!